Today marked Black Tot Day the date when British Navy sailors were given their last daily rum ration – the daily tot – on 31 July 1970. 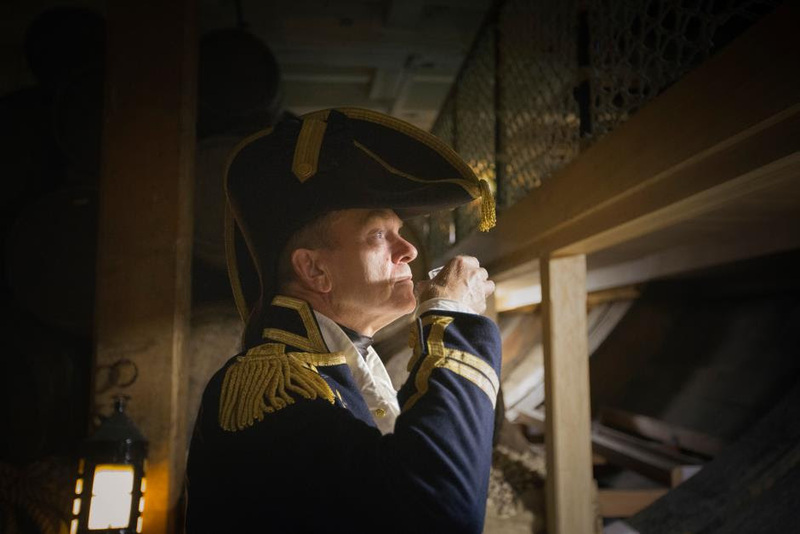 To celebrate, Captain Hardy of HMS Victory has enjoyed a shot of rum in the ship’s stores. To mark the occasion and honour the special relationship between the Royal Navy and its favourite liquor, Portsmouth Historic Dockyard has launched a ‘Taste of Rum’ campaign to run throughout August. Every Monday - #MondayRumDay – and Thursday - #RumTotThursday – 50 visitors (of drinking age) to the Historic Dockyard will be able to take part in a special ceremony and receive their very own daily rum ration from the Captain and the Ship’s Purser on-board HMS Victory. All visitors have to do to take part on these days is be one of the first 50 to visit the ticket office between 15.00 and 16.00 to collect a special token to be redeemed for a tot during daily the ceremony at 16.30. This new campaign is part of a season of rum celebration at Portsmouth Historic Dockyard, culminating in the Rum Festival taking place on the 1 and 2 September 2017.